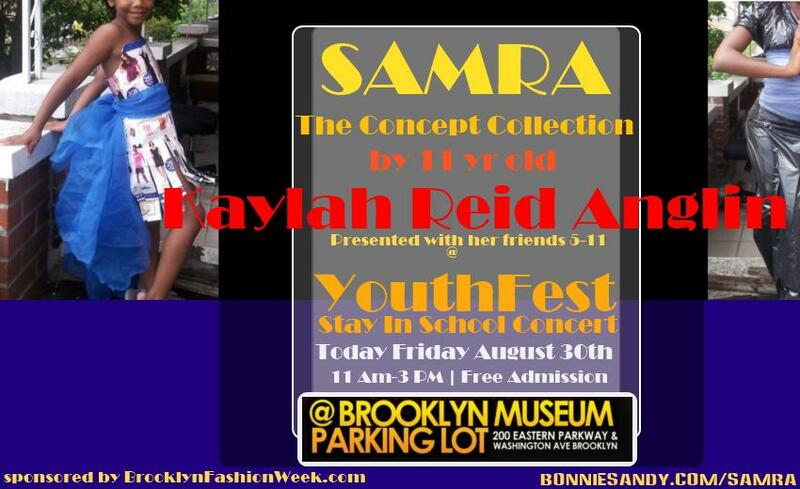 I’m under embargo till after her show but my 11 year old protege, Kaylah Reid Anglin, is all set to present Samra at the Brooklyn Museum’s Parking lot, Today Friday 30th august 2013 during the Youthfest, Back to school concert put on by Wiadca. her participation was confirmed only recently but she was ready. I can say this it started as a school essay and has grown into a full presentation. I love working with youth …. oh and yes Sponsors are welcome… now if the adults can get it this clear. Posted in Latest and tagged Latest, samra.